Stop. Start, stop. Start...stop. Fed up! Start....eventually some work was completed...towards developing consensus on a citizen's charter. Another day of playing the fool with idleness. I heard of a relative dying of snakebite in 1975 in our village in Sehnsa. I went to a funeral today of an 18 year old, bitten by a snake last night, in Dadyaal. Tabdeeli (Change) is what we want to become. An even stuffier Dadyaal...The heat from the laptop fan makes it all the more unbearable. Another day of rest in Mirpur.......the heat is simply unbearable having just spent over 2 months in Rawalakot. Slept from 0100hrs to about 1800hrs today.....felt very refreshed for the rest of the evening. I was flying between Kotli and Mirpur yesterday evening; between 9pm and into the 1st hour today. This flight was unlike most flights that the modern traveller is accustomed to. I was sitting on the roof of a bus whose ultimate destination was Lahore, that great mughal city otherwise described as the heart of Pakistan. I did try and post a blog entry while avoiding the odd tree branch or electricity wire dangling from its pole, perilously close to the heads of us (my fellow passengers and I). One of the many things that I have yet to discuss on this blog is the abysmal quality of food that we have to import from Pakistan. It isn't so palpable when we eat at home or as a guest at somebody else's home. However, when you're eating in the bazaar - day in day out - as I have been doing in Rawalakot for the past couple of months, you notice it with increasing intensity with every meal. Water - despite living in a region with possibly the highest ratio of fresh water (per capita) in the world, most - if not all - our urban centres in AJK are finding it increasingly difficult to provide uncontaminated water to their populations. Waterborne diseases are approaching epidemic proportions in some cities. Salt - processed salt is what we use and its a killer. Oil/Ghee - In the Dogra Era, importing oil or ghee was illegal and a lot of state resources were devoted to ensure compliance. We import oil and ghee from our neighbouring country. They in turn are apparently the world's largest importer of used oil. What is supplied here doesn't undergo any kind of scrutiny for its quality. We have no idea what we are buying! Wheat flour - The rotis we eat in bazaars have very low wheat content. Some investigations have found evidence of plastic being used. Spices - Most spices used in hotels/restaurants here are powdered versions and just like processed salt, they edge us towards ill-health. Living in a territory with such a sublime natural environment that facilitates optimum health is juxtaposed with a burgeoning private health sector, that compels many of our poverty-stricken citizens to take loans to try and recover what remains of their health. - From a natural health resort to a sick society. - From a potential global knowledge hub to an illiterate society. - From a central trade route to an economic black hole. It is these imposed contrasts which motivate us to work for change in our society. The more we learn about our people's baffling paralysis, the more determined we become to resolve this totally un-necessary dilemma. Yesterday (Day 227) was one of the very few instances when I totally forgot that I had to write a blog entry. It's a great addition to the growing literature on AJK (or what the book describes as Pakistan-administered Kashmir or Azad Kashmir) and the author Anam Zakaria has done well on many fronts to bring this book into the public domain, not least negotiating the demons that police the Pakistani narrative in Pakistan and its peripheries. "This is an area which has in so many ways been overlooked. This is an area where the people and their stories have been ignored, especially when we think about the larger Jammu & Kashmir conflict. This is an area which has often been stereo-typed as well:.........That Azad Kashmir is not really Kashmir.....The misconception is that ethnicity is something that is only linked to your language..or that part of your culture...I find that to be a very limiting way of describing Kashmiris....or for describing any identity for that matter." The above paragraph introduces some of the many keys points that Anam raises in her book. Like many genuine causes in the wider State of Jammu and Kashmir, this should have been achieved by yesterday. Well, things are moving along. Having said that, we did want to be much ahead of where we are at the moment. The 13th of August will always be an important date. In some years, more important than others. Patience is key........everything happens in its own good time. For the upteenth time, I've missed out on a blog entry by minutes, having tried to upload for the past half an hour. It has taken time but the article is gradually developing a meaningful discussion on our future. 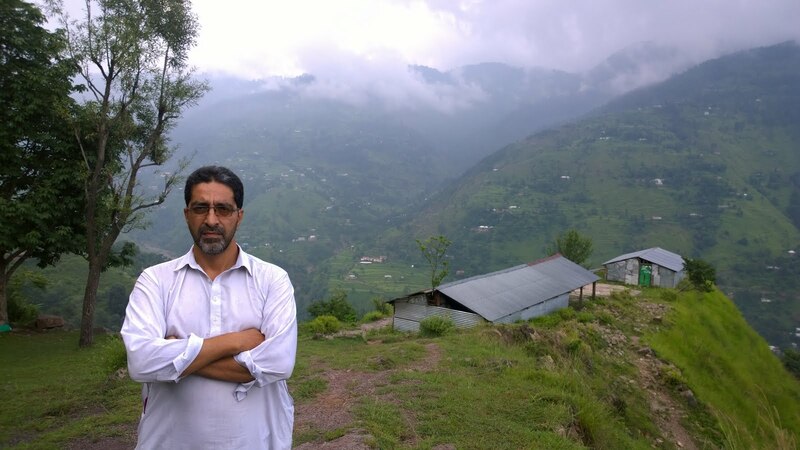 Some of my co-citizens who spent their formative years here in AJK and who have now been residing in the developed 'West' for decades, are still shy or lack confidence to engage with our emerging middle class diaspora. Given the range and extent of inhumanity in this region, there should be a wide range of topics to write about everyday. However, by this time of the day - one sometimes feels that so little has been done to address our plight - that it is hardly worth writing about. That is not the right course of action though. Highs and Lows persist in all walks of life. The days pass faster than the time needed to fulfil the duties we accumulate each day. After Aftab's funeral last week, 3 days were consumed by a wedding of another friend this week. I have just returned today and must now push on with what needs to be done. Achieving 100% here - where communications technology and electricity are not a guarantee in most parts of the territory - at any given time - is almost impossible. Just maintaining over two-thirds is quite good going, but could be better in terms of content, more detailed, less cryptic, more concise and even perhaps more global. It has taken the Pakistani State 82 days to realise that there is an activist from AJK - on a hunger strike outside Islamabad Press Club - with demands that take into account the interests of Pakistan as well as those of AJK. SHO Kohsar police station came to visit Mahmood Ahmed Musafir at around 7pm this evening and took a statement from him, in reference to his efforts for the wellbeing of Jammu & Kashmir and Pakistan. It was a polite and courteous exchange, I am informed. Meanwhile, back here in Rawalakot, although I'm supposed to be spending most of my time indoors and concentrating on producing some academic work, a lot of time is still being consumed outside in interaction with other co-citizens. Discussion and debate is important but time allocated for 'indoor' work should not be sacrificed for 'outdoor' (field work), which has its own time allocation. This is just another angle on the types of challenges that I have to 'balance' and manage on a daily basis. We have an entire generation in the UK lost, with Pakistani flags on their profiles, unaware that they come from #AJK not #Pakistan. Britain gave their grandparents a future, but they want to fly Pakistani flags, deluded patriots as they're subject to anti #Mirpuri cocky jokes. This is a big discussion and an increasing number of people are tuning in: remember the Mirpuri Villain? Its been a hectic 36 hours. 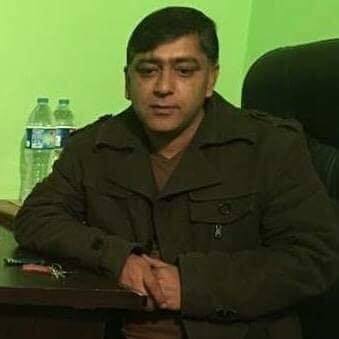 Aftab Ahmed of Pothi Chapprian (Tehsil Hajeera - District Poonch) and General Secretary of Jammu Kashmir People's National Party (JKPNP), was finally laid to rest this afternoon. A lot of - evolution of public rights movements globally - have arguably begun here - Jammu and Kashmir - before being possibly imitated or influencing identical strategies across the world. Let's be brutally honest and translate the UN Human Rights Report (14 June 2018) for what it actually admits, after almost 71 years....that the Indian and Pakistani states are brutal, fierce and unyeilding in protecting their interests. Genuine freedom of expression is stunted and hijacked at all costs by both countries. Meanwhile, China has always been very frugal with its words and doesn't have much of an opinion on....public opinion. At least: not in public. There is an unacknowledged consensus that the majority of citizens (or subjects) of the erstwhile state of Jammu and Kashmir seek peaceful and creative means to resolve their ambiguous status. Each administrative division (7 in all - 2 with China, 3 with India and 2 with Pakistan) have much to say about their identity (identities), culture(s), language(s), religion(s), narrative(s), economy (economies), civilisation(s) and sports. Each unit deserves and has an inherent right to practice the formation of genuine public agency.